In East Lyme, Connecticut, a little stream bears the name of Bride Brook. On its bank, the story goes, Jonathan Rudd married his love in late 1646 or early 1647. Mary’s last name is not known for certain, but many believe she was Mary Metcalf, though some genealogists think she was Mary Burchard. Whichever she may have been, the two living in or near Saybrook set their wedding date, but the magistrate who was supposed to come from another town to perform the ceremony couldn’t come because of a huge snowstorm. The nearest qualified person they could find to do the job was John Winthrop, Esq., then living in New London, and later governor of the Connecticut Colony. He was the son of the John Winthrop who was governor of the Massachusetts Bay Colony for twelve annual terms between 1629 and 1649. The History of Norwich tells us that Winthrop had no authority to perform the ceremony in Connecticut at that time, as his authority as magistrate came from the Massachusetts colony. But he agreed that if the parties met at a certain brook, he would perform the ceremony there. John Winthrop and his friends stood on the Massachusetts side of the brook and officiated while the happy couple stood on the Connecticut side and took their vows. Jonathan Rudd was a worker in leather, a farmer, and a soldier. New Haven County records say that “he kept a dirty gun and drank spirits while on guard duty.” So much for the “happily ever after.” The guard duty may have come in when he acted as a sergeant in the local militia band. He died in 1658, and a Reverend Fitch was appointed guardian of his and Mary’s children. giveaway, and be sure to leave your email address. The winner will be announced Jan. 30. Thanks so much for such a sweet and romantic post! 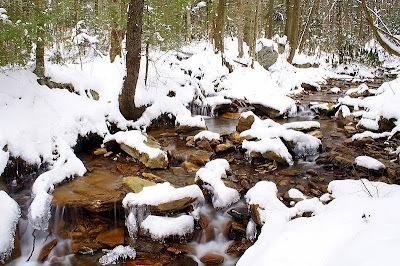 I've always wanted to get married in New England - if I ever find my prince I may have to check out this Bride Brook! Having lived in New England most of my life, I suggest you get hitched in summer, not winter. I'm just saying! Glad you enjoyed the story! Interesting question, Maxie! I haven't been able to find that information yet. I keep hoping to do more genealogical research, but lately my writing keeps me too busy to get into it much. Susan I loved reading this story, what a wonderful place to marry and two different states-quite unusual for sure. I wish I had something exciting like this in my history but all my searches just finds family I don't know but names and dates fit. After such a notable beginning it is a shame they didn't get a happy ever after story, maybe you should write one. I think it would make a great story. Great idea, Paula! And I'm surprised you haven't uncovered any scandals or axe murderers in your family. If you keep at it long enough, you're sure to find something shocking. I used to spend whole days at the Maine State Library and Archives in Augusta or the Maine Historical Society in Portland. Of course, Maine used to be part of Massachusetts, so they have large collections for both states. Most of my ancestors seem to have gotten off the boat in Massachusetts, though not all. You never know. I am thinking that there is probably some connection, back in the 1600s if not before. Thanks for your interesting comment! Yes, I can trace my husband's line back to England and Brabant, which is now part of Belgium. He has lots of German-sounding names, starting with Harder, which was Herder in the Old Country. My own lines I can trace on several lines back to England, and also to Scotland and the Channel Islands. But then there are those who went West, and the paper trail is very scanty. Thanks for dropping in, Laurean! Friends just surprised this missionary by paying my way to join them on their October cruise for the New England states! I can't wait! Would love to read this book - I love Susan's writings! Wow, Melody! what a gift! Pack your longies, or at least a hoodie and some gloves, as it may be getting chilly. I hope you have wonderful Indian summer weather and gorgeous foliage. It's so wonderful to learn details about our ancestors! Thanks for sharing your story, and thanks for the giveaway! You're welcome, Heidi. I love reading old town histories and family histories. You find the most fascinating stuff! Very interesting story, Sue. So am I reading it right that the couple was never officially married? And were they standing out in the snow storm when they got married. Just curious. BTW, that's a really good picture of you. Thanks, Vickie. Yes, they were officially married, as I understand it, but I'm not sure exactly how the law viewed it back then. Winthrop performed a marriage in Mass., but the Rudds were married in Conn. I don't think it would fly with today's laws, though. I don't know if the snow had stopped by that time or not. Wouldn't we all like an invitation to this wedding? Susan what a fascinating family history! I love New England, the scenery is amazing there and the history of the area is interesting. Thanks, Jackie! I keep hoping I'll find someone else descended from this couple who knows more about it. New England Romance Collection sounds wonderful. Please enter me in contest. Thank you for the opportunity to win.I enjoy reading your books.augustlily06(at)aim(dot)com. Have a wonderful weekend. Hi, Susan! What a fascinating find and an intriguing story! 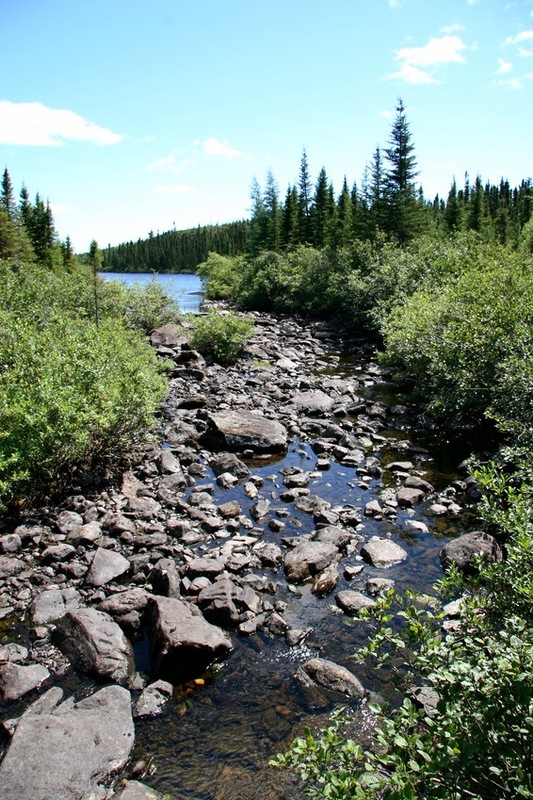 I love the name Bride Brook and thank you for sharing the story of its origin. 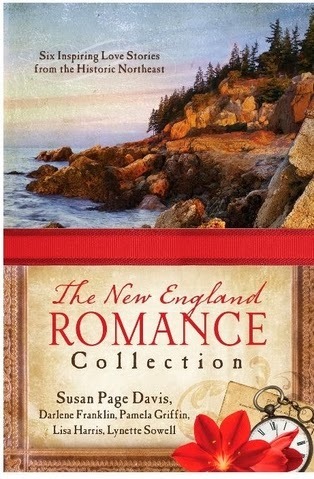 I also appreciate the opportunity to win a copy of The New England Romance Collection. Thanks, Britney! I always wonder about place names. When we first moved to Kentucky and were driving over to SC to see our grandchildren, we saw signs for Frozen Head State Park along the highway (in eastern Tennessee, I think). We all thought that was weird and made up several lurid versions of why it was named that (A severed head in the snow? A frost-covered outhouse?). After we got home, I looked it up and found a very mundane explanation. I think it was the headwaters of a stream that were frozen when the early travelers/explorers found them. Talk about a letdown! Thank you for sharing that story. I loved it. This looks like a great book. Thank you for the opportunity to win a copy. You're welcome, Susan. Thanks for taking part. Wow, how interesting! This is what I meant when I said if you dig long enough, you'll find something shocking! So you have relatives in Argentina. Have they invited you down for a barbecue? Hardly! They came back to CT in 1923, so she missed both her brother's and daughter's weddings.He, who we don't believe ever became her husband-SCANDALOUS!-was killed in a car crash soon after they returned. She came back with a parrot named Charlie, and a morphine drug habit. She only had my grandmother and brother for children. The brother died about age 8 in 1906 of diptheria. She was reportedly never the same after that. Marti, how very sad! I so glad your grandmother survived and we got you! These family events are painful to think about but they reveal to us how fragile we are and what molded us into the person we are today. I have a similar story in my own family, but I won't go into detail as there are some still living who might be hurt. Mostly, we accept the erratic and eccentric actions of some family members and love them anyway. Hi Susan, what an interesting post! I always love your writings. Thank you for what you do and the opportunity to be a winner. Thank you for your kind words, Melanie. Glad you enjoyed this. We have Susan's books in the church library. Thanks for the giveaway. I love to hear that, Janet. Thanks for telling me! Ack! I HAD seen that on your emails before and never thought about it, Regina. Who knows, maybe we have a family connection. Thanks, Sharon. This collection's stories are not connected, except for the fact that they are all set in different New England states. They're full length novels that were previously published as mass market paperbacks, brought together in the anthology. Thanks for entering! I love these novella's and am looking forward to reading this. Thank you for the chance to win it. Great, Wendy! They were actually going to put all six New England states in this book (I was to have two of the stories), but it was too long for the publishing format, since each individual book runs 50,000 words or so. In the end, they took out one of mine, since I was the only author with two slated for the collection. I'm afraid New Hampshire gets the short end of the stick on this one, which is way too bad. I had an awesome tale for NH (Return to Love, about the 1689 massacre near Dover). And I have two sisters living in NH as well. My ancestors come from Germany and Ireland. Haven't found anything too much out of the ordinary though. We all have a story to tell, and it is great to hear yours. Thanks, Martha! I enjoyed foraying into my husband's German-Belgian ancestry. They were easier to trace than the Davises. Too many of them out there--we have one of the 10 most common surnames in America. And the winner is Heidi! Thank you all for your wonderful comments and encouragement. I'll see you back here on Feb. 23. I am a descendent of the couple in the Bride's Brook story through their daughter Mary Rudd Bingham and then through marriages into the Griswold, Kent, and other various surnames along the way. It was fun to read your post about this story! Jonathan and Mary Rudd are my 8th great-grandparents. I have tons of information on the Rudds as well as the Bride Brook Wedding if you would be interested. Hello, I am a direct descendant from Jonathan and Mary Rudd. I would like to know more about them, so any information is a gift for me. I live in Los Cabos, Baja California, Mexico. Hi, RitaElana. This family is part of my husband's ancestry. Unfortunately, I probably don't have any more information than you can find online. It's a fascinating story, though. Captain Jonathan Rudd was my 9th Great Grandfather!! I was so happy to hear of this story and shared it along with photos I have gathered with the rest of the family. Always happy to hear from another descendant. I'm glad you Enjoyed it.